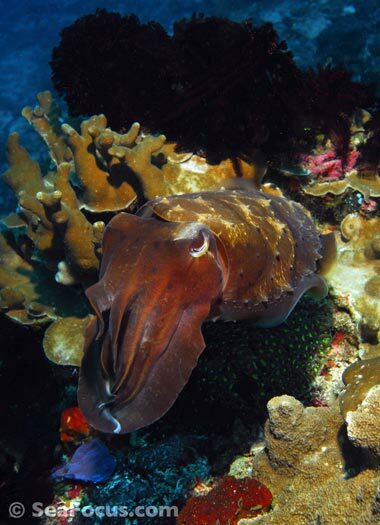 Cuttlefish are part of a large marine group, the Cephalopods with relatives such as squid, octopus and the nautilus. The family name comes from Greek and means head-footed. There are over 120 species in five genera. 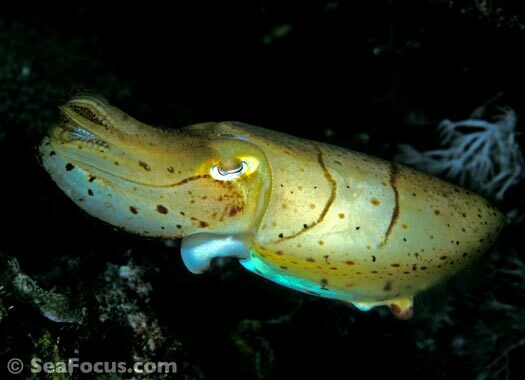 Cuttlefish, along with related cephalopods (octopus, squid and the nautilus), are part of the Phylum Mollusca but are differentiated from other molluscs by their lack of a hard shell. 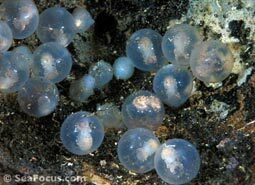 Their bodies are soft, hollow chambers supported by a single, porous cuttlebone. The chamber can be filled with gas or water and used to regulate buoyancy. 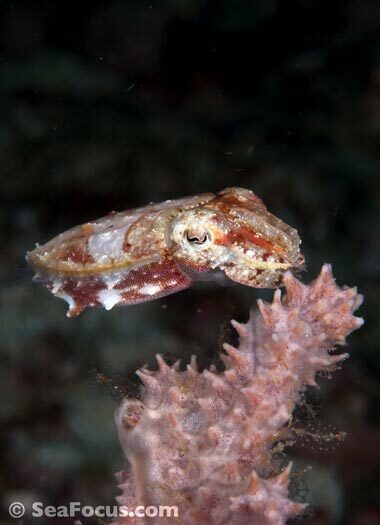 Cuttlefish can move backwards by forcing water through a siphon near the head – jet propulsion at it’s finest. 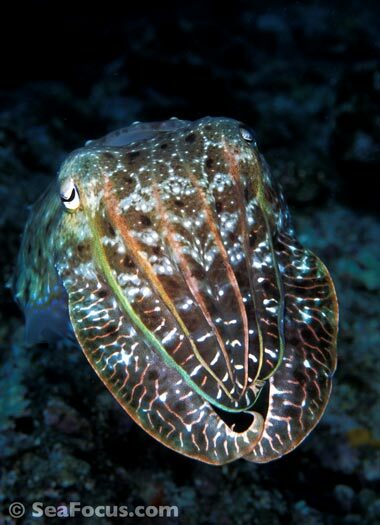 Cuttlefish are among the most intelligent marine creatures with one of the largest brain-to-body ratios of all invertebrates. 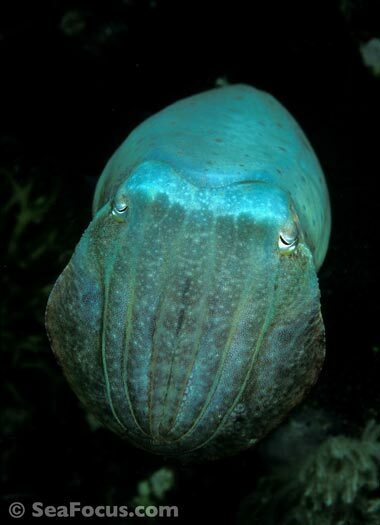 They have an advanced central nervous system and eyes allow them to see us much as we see them. 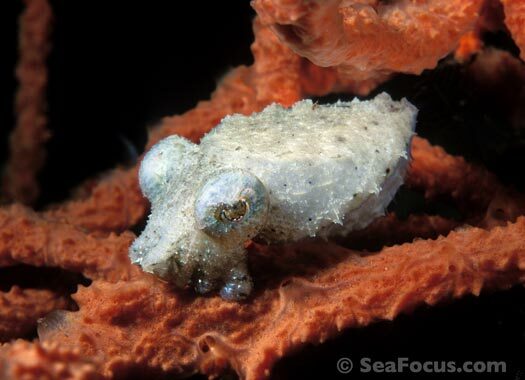 They are masters of disguise with the ability to change skin colour and texture, helping them to stay camouflaged. 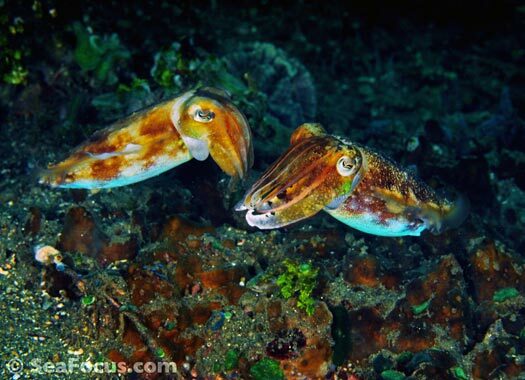 Cuttlefish sexes are separate – a mating pair will swim side by side, the male indulging in some courtship behaviour with waving arms. Eventually mating takes place. 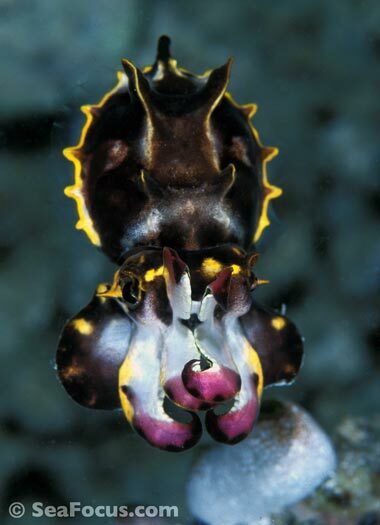 The male uses a modified tentacle to place sperm packets on the inner side of the female's mouth. 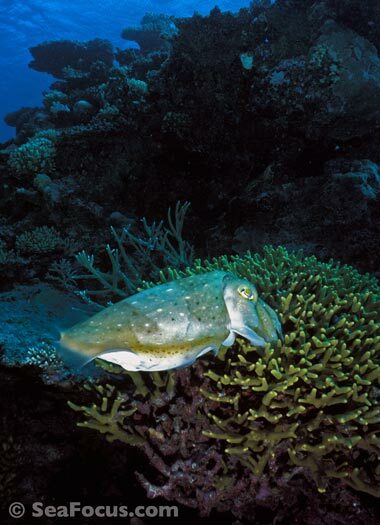 The female then places egg after egg into the cracks and crevices of a suitable hiding spot like staghorn coral. The male hovers attentively nearby until she’s finished, but the female does not look after the eggs and will die soon after she lays them. 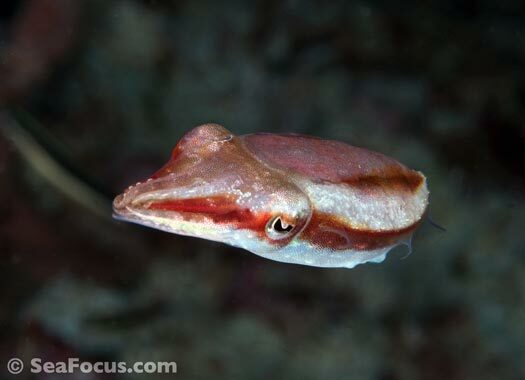 Cuttlefish common names... it's not easy to identify individual cuttlefish. 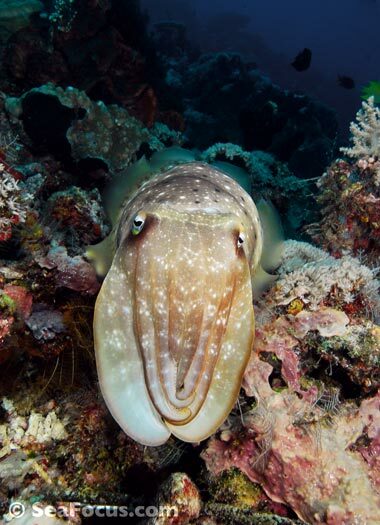 They are incredible masters of disguise – take a look at how so many almost disappear into the reef background in these images. To really know which one is which, you would need to take them out of the water and inspect physical features like numbers of suckers and the shape of their bone. Instead, we have noted where they were photographed. 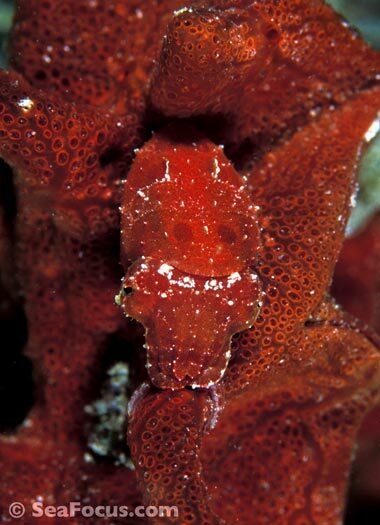 Image 3 is, of course, the flamboyant and image 13 is a stumpy cuttlefish. 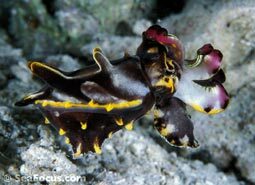 The incredible, colourful flamboyant cuttlefish always lives up to it's name no matter where we have seen them. It measure up to 8cm long and it's flesh is known to be toxic. 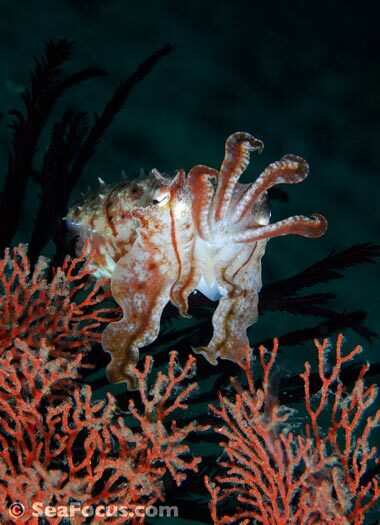 There are two areas where we have had some great encounters include just beneath the jetty at Kapalai Resort, Borneo and the Lembeh Straits. At Kapalai, they would nestle in the rubble just beneath the jetty. Simply swimming past would initiate a vibrant colour-change display, intended to warn off the potential predators. 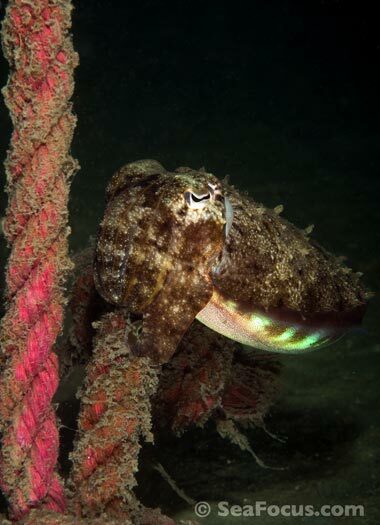 Across in the Lembeh Straits, Jahir dive site is another favourite for them. 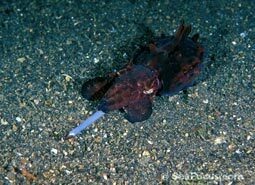 They are easily spotted in the shallow bay at night as they wander across the dark sand seabed to hunt. In the middle image, this one has extended his proboscis to reach for a shrimp. On the right, the image shows eggs laid in discarded coconut shells.